All pumps are complete with fittings and clamps. 3/4 H.P. 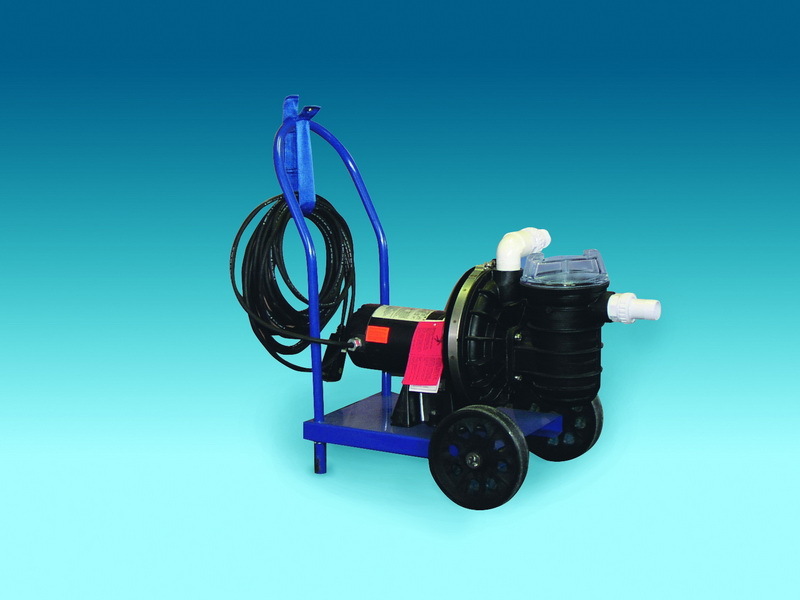 Pentair Challenger Pump, 115 volt, single phase, 60 cycle thermally protected motor designed for continuous duty operation. A heavy duty 50 foot cord and plug is supplied for maximum convenience and utility. A ground fault interrupter (GFI) protects the operator from electrical grounds in the cord and motor. A two-wheel chassis kit allows the unit to be easily wheeled about the pool. 1 1/2 ” suction and discharge.